Had you been an onlooker outside the WMI offices this past Saturday in Buyobo, you would have witnessed long lines of eager women stretching many yards, smartly dressed health workers sanitizing equipment at 8:30 am sharp, and an energetic speaker guiding community members around local gardens, planting seeds. The enriching events this past Saturday were the fruit of two new partnerships between local organizations and WMI: Trees for the Future, an organization that empowers rural communities to protect their environments and preserve traditional livelihoods through tree planting, and RAIN Uganda, whose mission is providing education and health resources to villages throughout the area. Mathius Lukwago, the Trees for the Future representative that came to Buyobo, gave an informative presentation on the importance of protecting tree cover and taking care of the local environment. He spoke about the dangers of cutting trees, how to plant trees, and how to make a nursery bed. His interactive presentation to an audience of 100 women was met with much curiosity and enthusiasm by the Buyobo community. 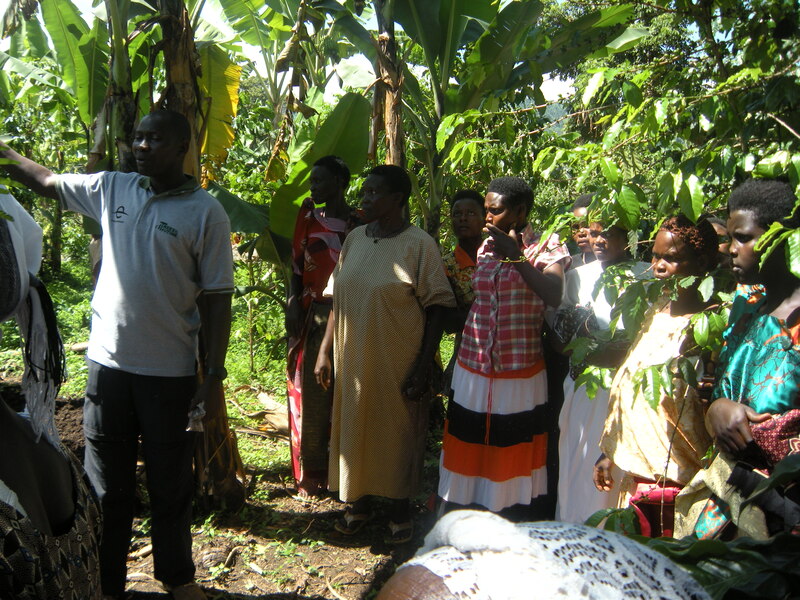 After the presentation, Mathius demonstrated how to make a nursery bed and planted several types of seeds behind the WMI offices. He gave every woman in the audience a handful of seeds to plant at their homes. 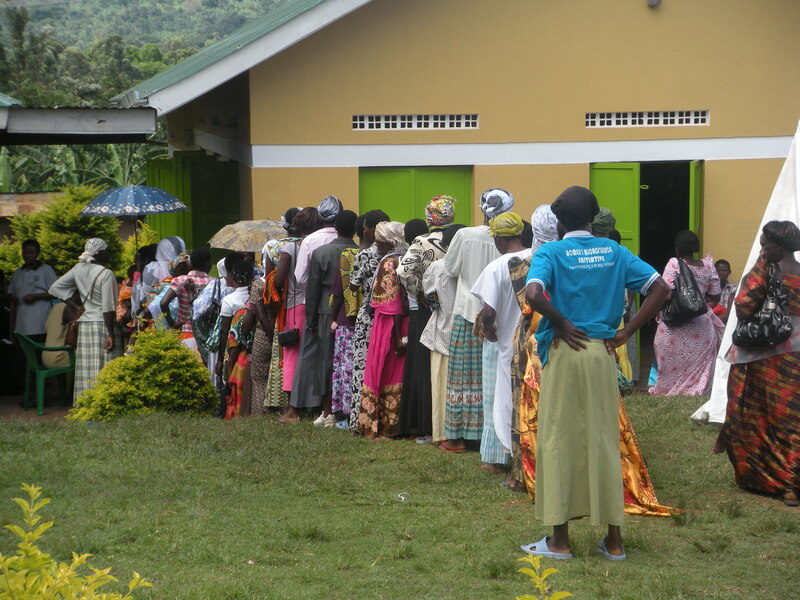 Buyobo was also very excited to welcome RAIN Uganda back to our community (for a intro to RAIN Uganda, see the blog post from April 20) — so excited, in fact, that 300 women showed up to receive the services they were offering. This time RAIN Uganda brought midwives and health technicians to provide cervical cancer screenings and HIV testing at no cost to our community members. Our visitors worked tirelessly from 9 am to 4 pm to screen a total of 130 women. For those who came but did not get a chance to be screened, we look forward to welcoming RAIN Uganda back for a second weekend of screenings May 11. 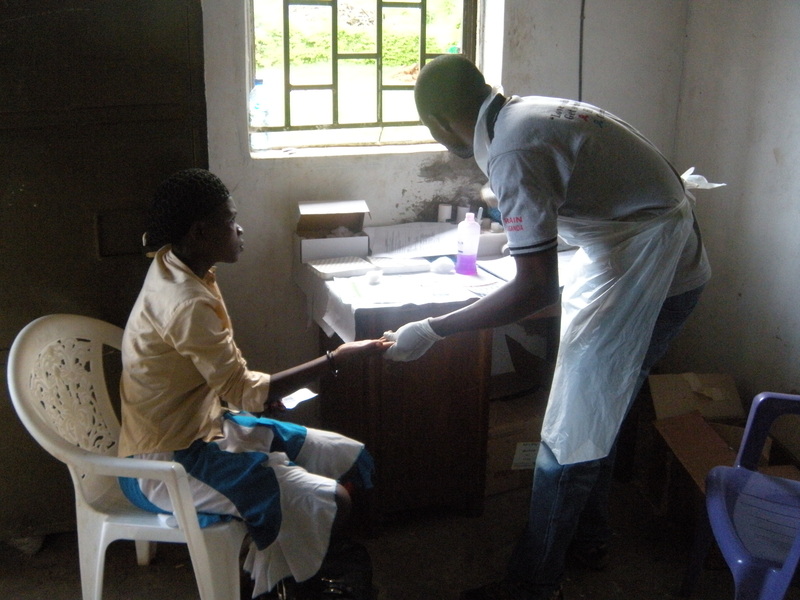 The women received results within minutes for both the cervical cancer screenings and HIV tests. Many women expressed relief — stating that they had come to the event expecting to test positive, and were surprised and reassured to receive negative results. All expressed gratitude for the services offered, asserting that difficulty of access and fear of high costs had prohibited them from visiting health centers for testing in the past. A very heartfelt thank-you to our visitors for enriching our soil and attending to our health.